I am developing a word game for iOS and would like to use an SVG file as the gaming board. 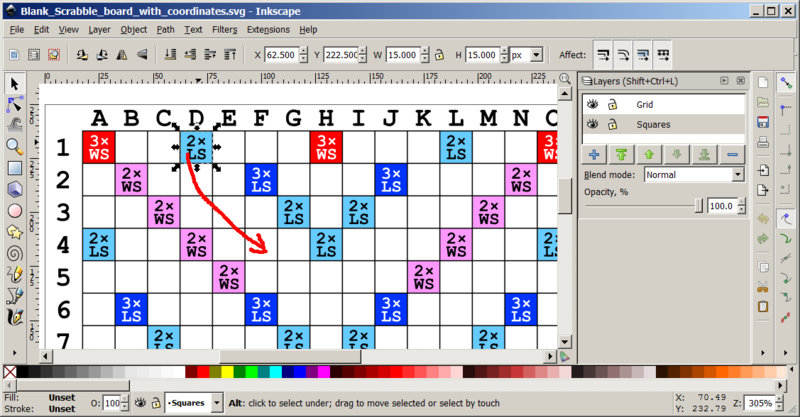 The SVG file (author: Denelson83, Wikimedia Commons) is almost perfect for my game - except for displaced colored squares. How could I please copy such a colored square (is it a Group? 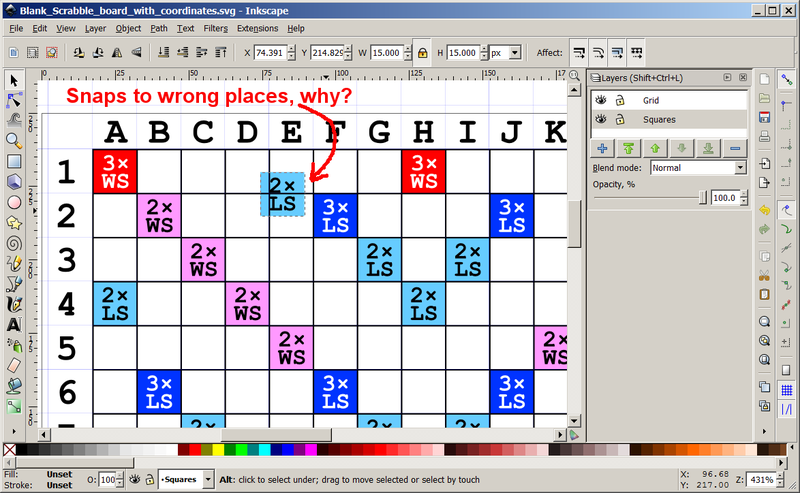 ), then paste it and move the new square to a new spot - but still keep it aligned to the grid? 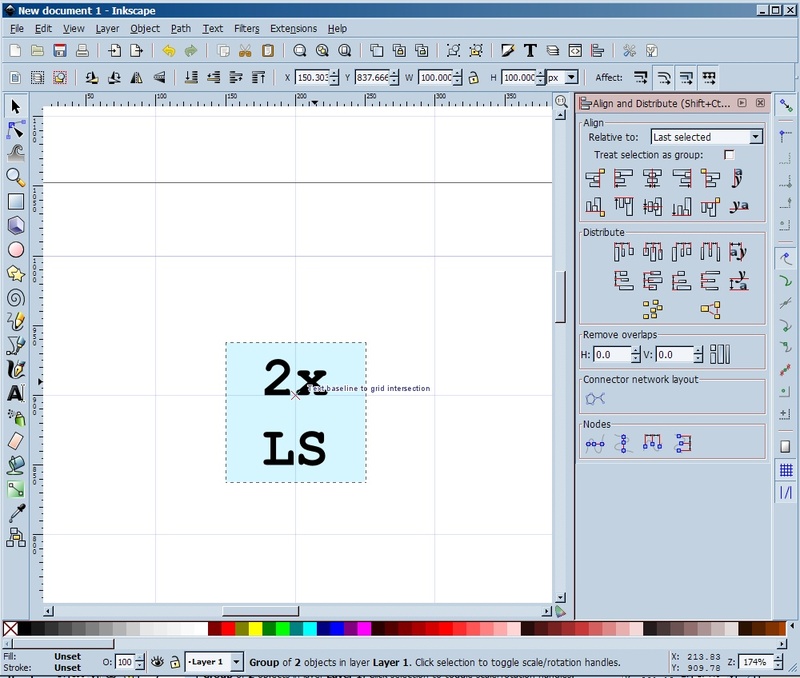 As an Inkscape newbie I have already found out, that I can jump to the "original" with Shift-D.
And I can hold CTRL key to move objects horizontally or vertically. but the square doesn't snap to the grid when I drag it. 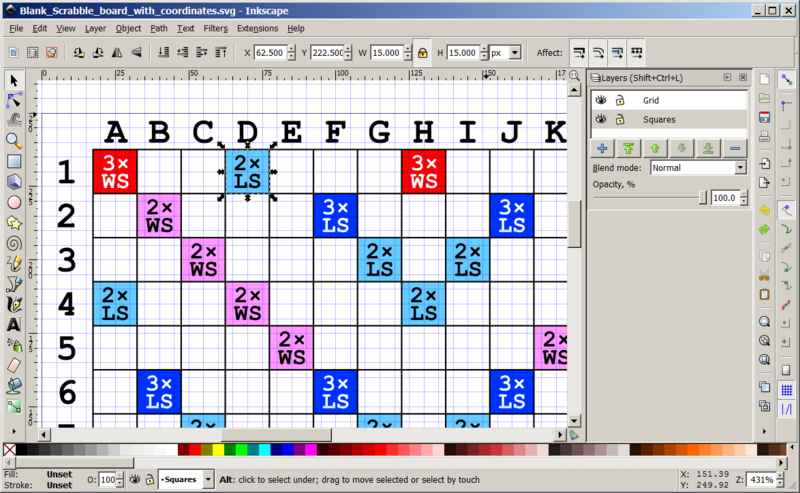 And also the grid is too small and I can't find how to make its cells broader. But while the grid looks ok now and snaps too - it snaps in the wrong places as shown below. Why doesn't the grid snap at the square's borders? Is this maybe a bug in Inkscape? How to workaround it please? You can change the behaviour of the snap using the other buttons in the toolbar. See here for reference. 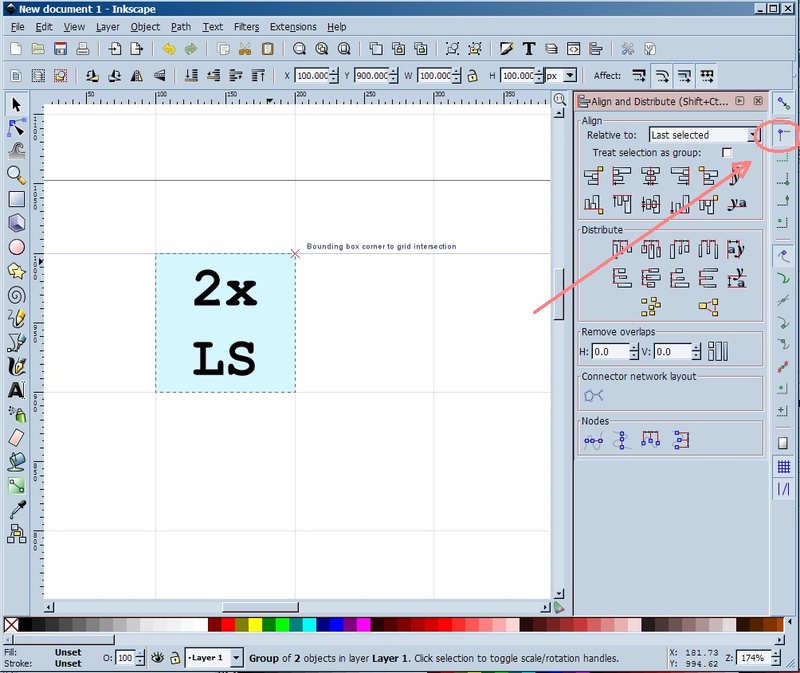 Be aware that the snap depends from the position of your mouse in the selection: if you begin to drag the group with the mouse near the text, the snap would be related to the text, if your mouse is near the top-left corner of the box, the snap would be related to the top-left corner of the box (if "Snap bounding box corner" is enabled), and so on. Not the answer you're looking for? 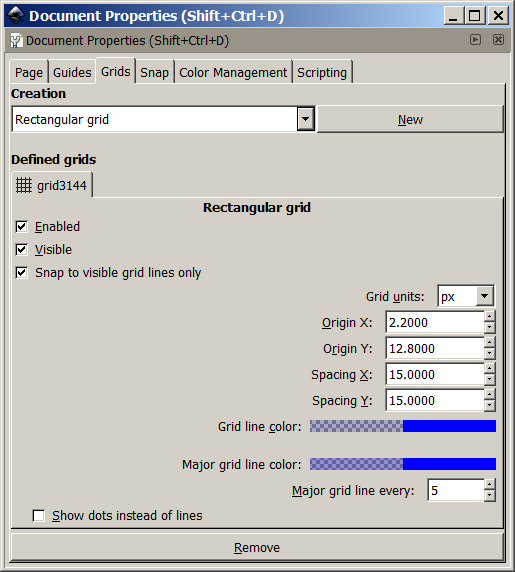 Browse other questions tagged inkscape svg grids alignment or ask your own question.